Swim in the crystal-clear waters of Vanuatu while standing in Shanghai? Dive into Samoa’s spectacular To Sua ocean trench from Beijing? 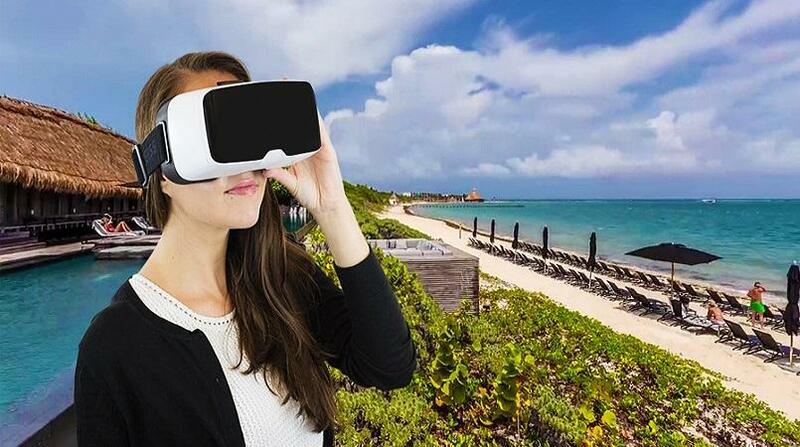 Tourism advertising has taken on a new dimension with the introduction of Virtual Reality Films. Pacific Trade & Invest (PT&I) China has begun using Virtual Reality (VR) films to promote the Pacific Islands to the China travel trade. The VR films were shot on location during the recent tour of the Pacific led by PT&I China. Beijing-based Trade Commissioner David Morris and new Chief Executive of the South Pacific Tourism Organisation (SPTO) Chris Cocker launched the new VR films at China’s leading travel expo in Shanghai on November 11. The China International Travel Mart draws travel trade from all over China to discover new destinations for China’s booming outbound tourism. China is now the largest outbound source of tourists in the world and Chinese tourists are the highest spenders. “We all need to work in partnership, because China is a huge market and we are few. It makes good sense for us to work together,” Morris said. He also paid tribute to the good work being carried out in China by the National Tourism Organisations in the Pacific. “Your good work, which we are proud to support, is raising the awareness of our wonderful Pacific Island destinations in China. But we cannot be complacent. Every tourism destination in the world is looking to China and is preparing for Chinese tourists,” he added. The Pacific Islands currently draws only 8% of tourists from China, indicating there is significant growth potential. Morris said PT&I China would consult with the industry to develop a proposed strategy to meet the growth in the China outbound market. PT&I Beijing announced that it is also planning a series of exchanges, to provide opportunities for the Pacific Islands tourism sector to get to know China. It will roll out a series of “China-ready” workshops in the Pacific Islands next year, to build capacity and understanding for growing Chinese tourism, beginning with Vanuatu.